Sakai Guides and DocumentationSakai Basics HomeWhat are the Home Message Center Notifications? 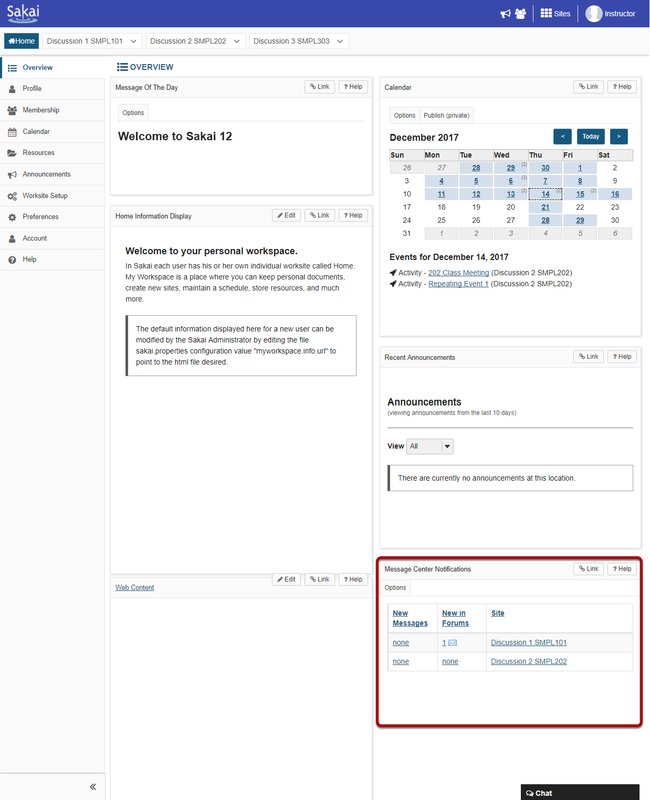 The Message Center in Home displays the count of Messages and Forum posts for all of the sites in which you are enrolled. New messages are indicated by a number and envelope icon. If there are no new messages or posts, the word "none" will be displayed. Clicking on the title of the site will take you to the homepage for that site. Clicking on the New Messages indicator will take you directly to the Message Inbox for that site. 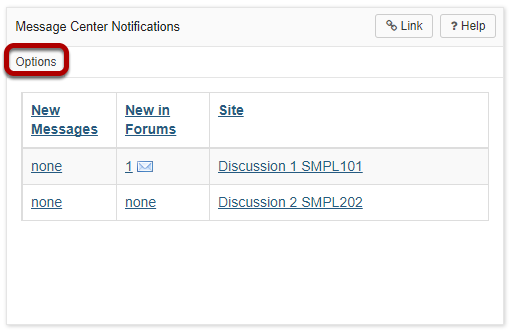 Clicking on the New in Forums indicator will take you directly to the Forums for that site. 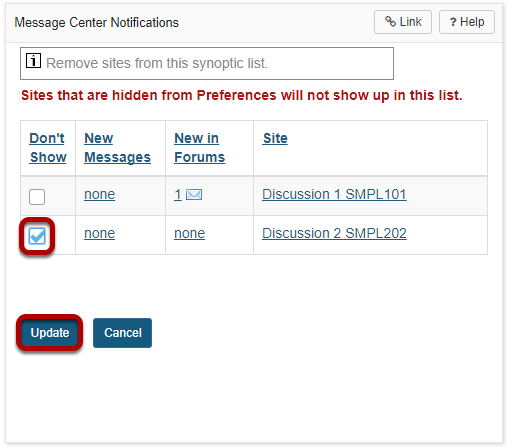 You may click on the Options button to customize the list of sites displayed in the Message Center area. Choose sites to hide in this list and then Update. Click in the Don't Show box to place a check mark next to any sites that you prefer not to see in the Message Center list and then click Update. Note: If you have already hidden sites in Preferences, they will not show up in this list. Prev: What are the Home Recent Announcements?